Ballad is a poem or song narrating a story in short stanzas. 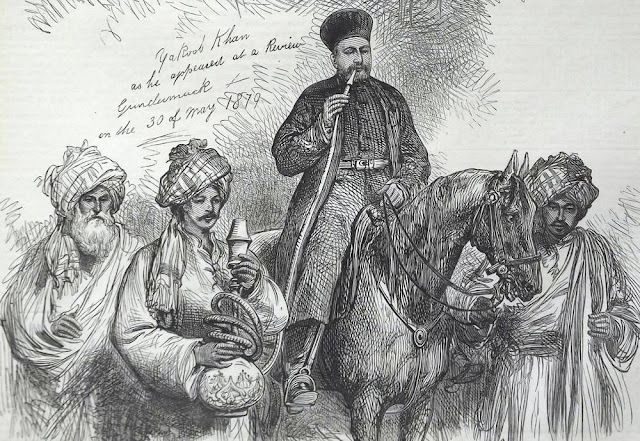 Traditional ballads are typically of unknown authorship, having been passed on orally from one generation to the next as part of the folk culture. This ballad was composed about 1750 AD, to celebrate a successful foray of the Marwats into Tarna (Isa Khel) against the Niazis, whose chief settlements at the mouth of the Kuram they burnt. Only a fragment of it remained when Septimus Smet Thorburn recorded its translation in 1876. A boy called out beside me. "On the west of the Tanga fine dust has risen,"
A Marwat shouts - a long deep halloo. The Marwats had strength - they heeded not the drum. Before late afternoon prayers fires blazed at Tarna. "The Marwat swords  are flashing, come forth from your shelter. Begu, son of Hathi Khan, is upon you." In the field he swooped like a falcon. That the Adamzais were sacrifices to it. The Marwats rushed into it like blind men. But the clothes of Shekhi, my brother  , were reddened with blood. Who was looking? 1- The women of the Isa Khels are the speakers. They are supposed to be trying to rouse their men to fight. 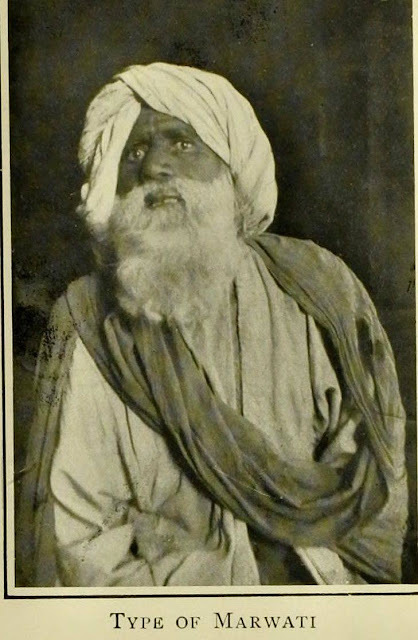 A Marwat elder, c.1908. From "Among the wild tribes of the Afghan frontier"